Canon is jumping on the instant camera trend with a pair of new cameras with built-in printers. 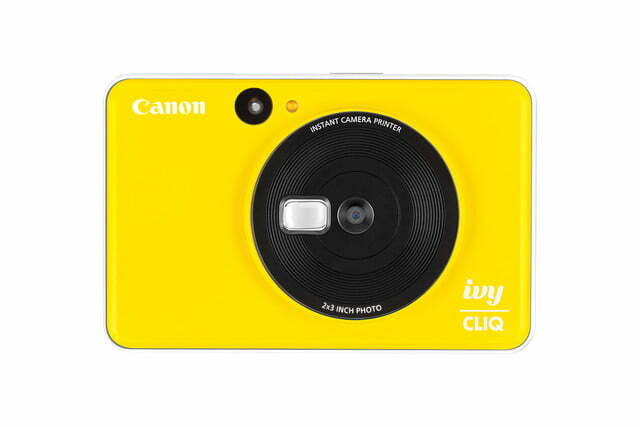 The company has unveiled the Canon Ivy Cliq Plus and Ivy Cliq instant camera/printers. The duo expands on Canon’s Ivy instant printer, creating a camera-and-printer-in-one combination. With megapixels in the single-digit range, the new cameras aren’t designed for pixel peepers but for instantly sharing snapshots both in person and online. The more advanced of the two cameras, the Ivy Cliq Plus, uses an 8-megapixel camera paired with a built-in Zink printer that prints 2×2 or 2×3 images. The camera’s selfie mirror is circled by LED lights to brighten up those selfies. 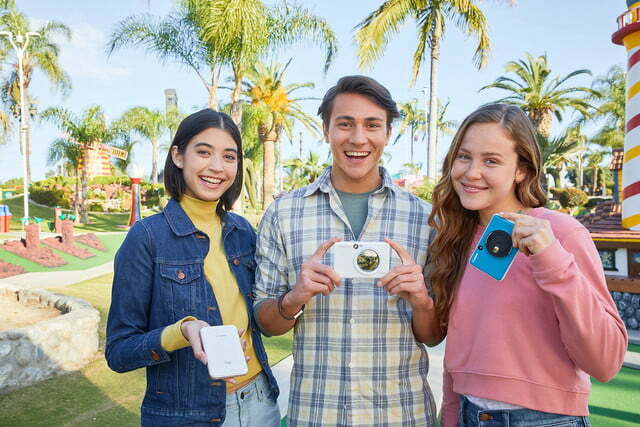 The Ivy Cliq Plus also uses Bluetooth to connect to a smartphone to edit photos before printing or to share them on social media. The Canon Mini Print app includes filters, frames, and text for photo editing. Inside the app, users can also record their own shutter sound and on/off sound for the camera — think a custom ringtone, but for camera clicks. 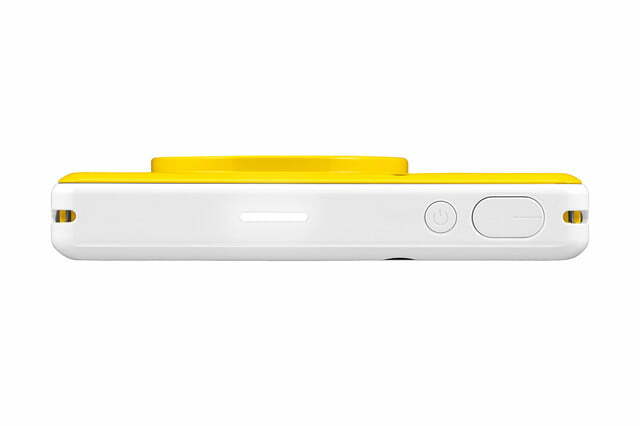 The cheaper Ivy Cliq skips on the Bluetooth and uses just a five-megapixel sensor. Instead of wirelessly sending photos, the MicroSD slot (included on both models) can be used to transfer photos to a computer. The camera still includes a selfie mirror, but without the lighting. Both instant camera/printers use Zink printers built in. Unlike a traditional printer requiring both paper and ink cartridges, a Zink printer uses special paper with embedded ink crystals that are activated by heat. Both cameras can hold up to 10 sheets of Zink paper at a time. The Canon Ivy Cliq and Cliq Plus both use an optical viewfinder to frame the shot, a USB cord for recharging, and a camera strap. Neither camera uses an LCD screen to review images. Despite the prevalence of digital, instant cameras have seen a resurgence as a way to instantly share physical prints. Cameras with built-in printers mix the best of digital and instant film cameras with both a digital file and a printed image. 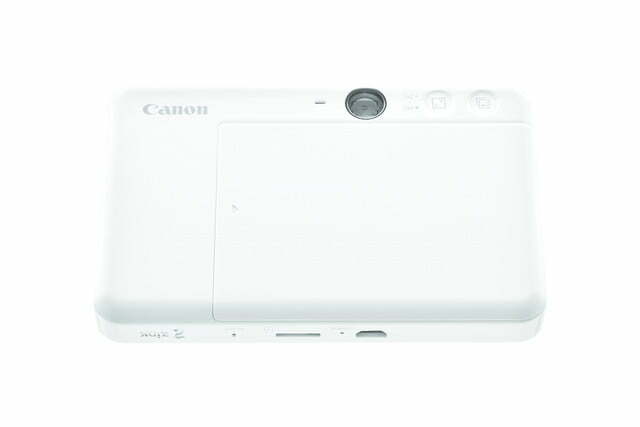 The Canon Ivy Cliq Plus and Cliq instant camera/printers are slated for an April release. The Cliq will retail for about $100, with the Cliq Plus sitting at about $160. Both include a 10-pack of 2×3 Zink paper.